But feel free to be maximally creative within the theme. We don’t have a minimum or a maximum required length for contributed essays, but especially do not be shy about concision or form. If all we get is haiku that might be a problem, or there might be a message in that of some sort. Feel free to share this with other people who you know have something to say on this topic. We’re especially looking for voices underrepresented in free knowledge movements. p.s. 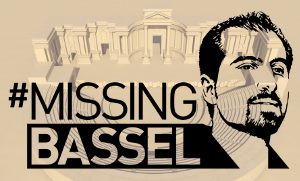 Please spread the word about #freebassel even if you can’t contribute to the book! Posted 2015-10-29, filed under Books, Creative Commons, Free Speech, Open Access, Open Hardware, Open Source, Politics, Wikipedia.